Using fluctuational electrodynamics, it was predicted more than four decades ago that radiative heat transfer between planar surfaces separated by a vacuum gap smaller than the thermal wavelength exceeds the blackbody limit due to tunneling of evanescent modes. This finding has led to the conceptualization of systems capitalizing on evanescent modes, such as thermophotovoltaic converters and thermal rectifiers. Their development is, however, limited by the lack of devices enabling radiative transfer between macroscale planar surfaces separated by a nanosize vacuum gap. In the first part of this talk, fabrication and characterization of near-field radiative transfer devices made of millimeter-size planar surfaces of silicon and silicon carbide with fixed and tunable nanosize gaps are discussed. It is shown that these devices can lead to radiation heat transfer exceeding the blackbody limit by approximately one order of magnitude. In the second part of the talk, heat transfer in the extreme near-field regime (i.e., sub-10-nm vacuum gap distance) is briefly presented. Recent experimental results, combined with atomistic Greenâ€™s function simulations, demonstrating the inapplicability of fluctuational electrodynamics and the radiation-conduction transition in the extreme near field are reviewed. 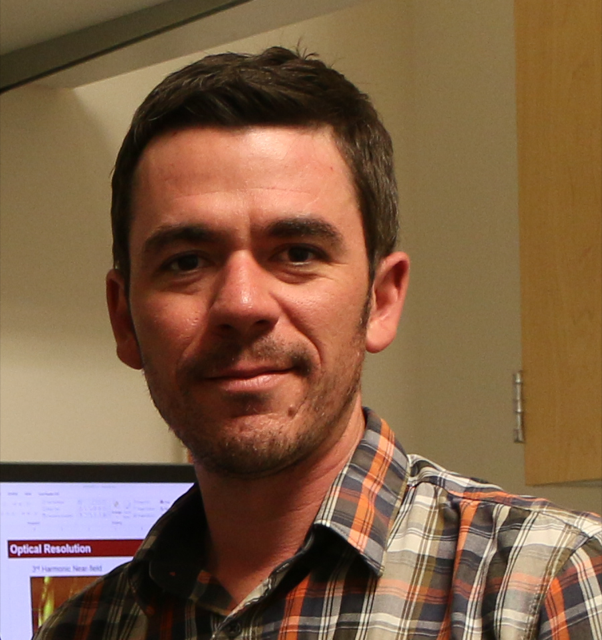 Mathieu Francoeur is an Associate Professor and the Associate Chair of the Department of Mechanical Engineering at the University of Utah. He received his B.Eng. and M.Sc. degrees in Mechanical Engineering from UniversitÃ© Laval in 2002 and 2004, respectively, and he obtained his Ph.D. from the University of Kentucky in 2010. He was awarded the NSF CAREER Award in 2013 and the Army Research Office Young Investigator Award in 2014. His expertise is in thermal radiation, and his current research focuses on near-field radiative transfer devices, extreme near-field heat transfer, thermophotovoltaic power generation, radiative property control, and near-field radiation simulations in complex three-dimensional geometries. He has produced more than 130 publications, including 43 journal papers and 3 book chapters.